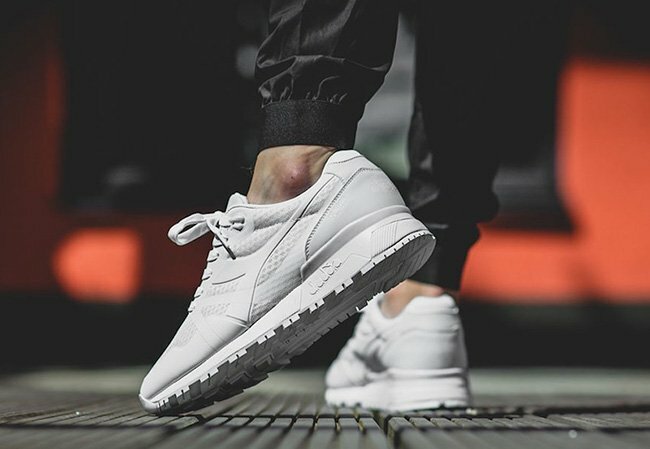 Diadora continues with the strong releases for Summer, this time around launching the Diadora N9000 MM II ‘Triple White’. 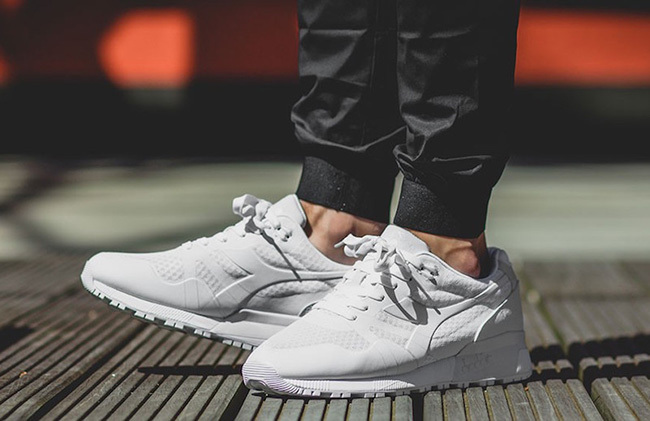 One of, if not the cleanest Diadora N9000 releases we have seen, the shoes are pretty much dressed in all White which is why they have respectively claimed the ‘Triple White’ nickname. Through the base we have nylon and synthetic along with tapered and mesh. 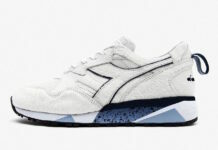 Completing the look is more White which lands on the Diadora branding and through the outsole. 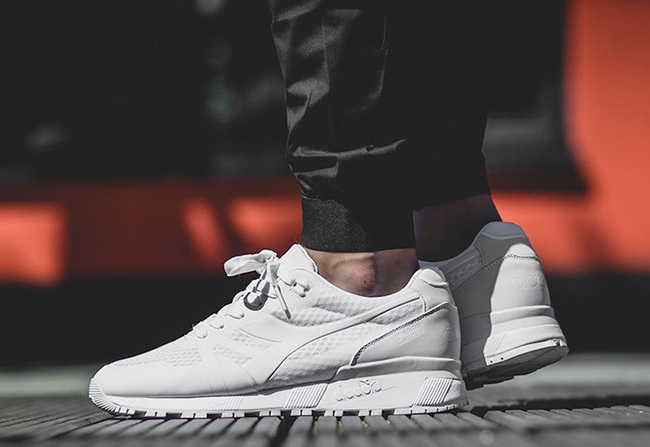 Below are additional photos of the Diadora N9000 MM II Triple White which showcases how they look on feet. 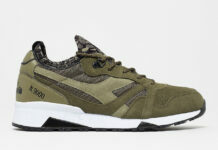 At the time of writing, they are now arriving at overseas retailers like Afew. 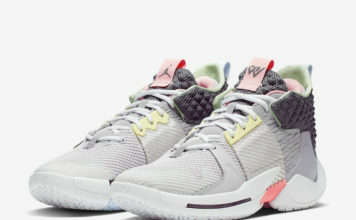 Retail price is set at €134.95 which comes out to be about $149 USD. 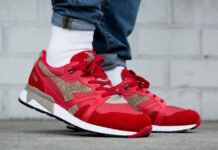 Limited sizing is available, so you may have to wait until additional shops including stateside retailers have them which should be in the next few weeks.